"A prophet is not without honor, except in his hometown and among his relatives and his own family". I believe, the Parkers are no exception. 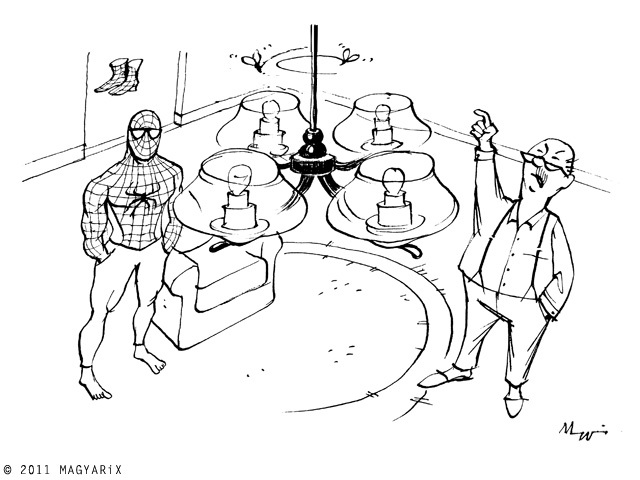 An embarrassingly practical task for the Spiderman. Hahah! Love it..casually with hands in pockets and shoes off..he can do it easily!! Great line drawing.